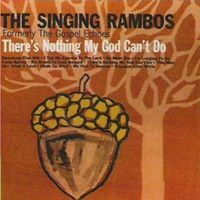 Original album for Warner Brothers Presents The Gospel Echoes states songwriter for It Is Sweet To Look Beyond is Shirley Bivens, but the Heartwarming album There's Nothing My God Can't Do (same album released again) simply states PD (Public Domain). We believe Shirley Bivens arranged this song and an Internet search revealed who we believe to be the actual songwriters as Wilson & Smith. This album lists songwriter as PD (Public Domain). Thanks to SGHistory.com, we found author's name.